Home Cool stuff That big robot fight we all heard about… Just happened! 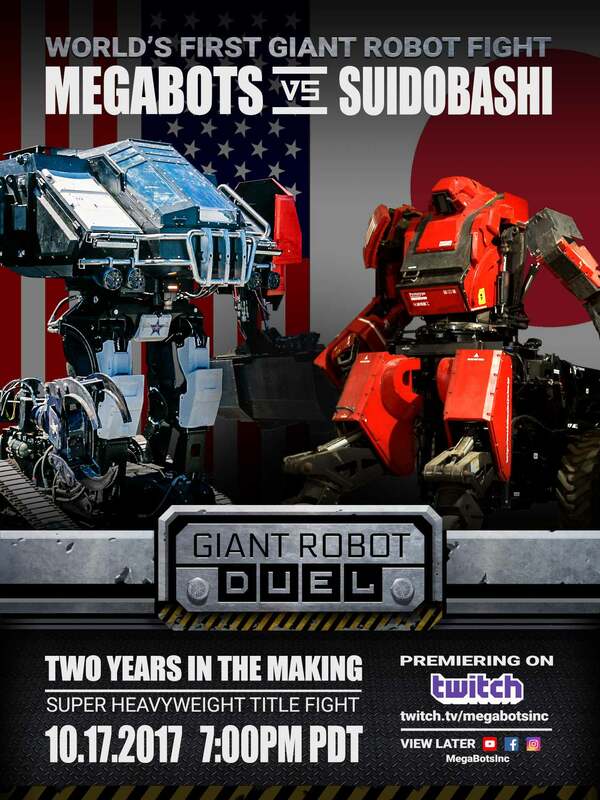 In case you missed it, like I did, that giant robot fight that everyone has been waiting for happened last night. You can check out all the action here. I won’t spoil anything for you, but this was pretty awesome. Watching a robot piloted by two human beings literally punch another robot, seeing a robot launch a drone strike from inside itself… I hope this becomes a more regular thing. I think the best part was Mike Goldberg nearly getting squashed during the final bout, along with seeing Mike Goldberg still alive after leaving the UFC. There was no audience, and not really any PPV money since this was just dropped on YouTube. The event’s organizers decided that a live audience would not be feasible due to the long resets in between fights. It can take a while to upright an overturned 12 ton-robot. Hopefully this little proof of concept launches something bigger. I want to see all manner of mechanized mayhem in the future. Would any of you watch a piloted robot fighting league? I add piloted only because I know every single one you watches Battle Bots. Next articleOrionid meteor shower peaks this weekend. Use Bing 3D’s Satellite Data… in Google Earth!